Fans of hit Channel 4 show Gogglebox would be forgiven for not recognising Buster’s face. Belonging to owners Rev Kate Bottley and her husband Graham, Buster is normally seen lying with his back on a sofa and hind legs sticking into the air. 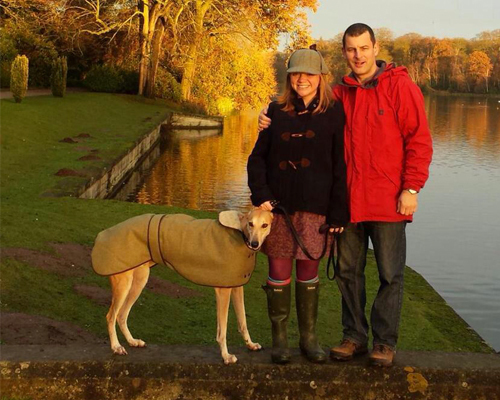 Greyhounds can get cold very easily so when the LoveMyDog team found out that Buster needed a winter coat we offered to supply Buster with one of our Featherstone Tweed Greyhound Coats. Rev Kate’s ‘OMG’ reaction was brilliant (that’s Oh My Greyhound just in case you were wondering). 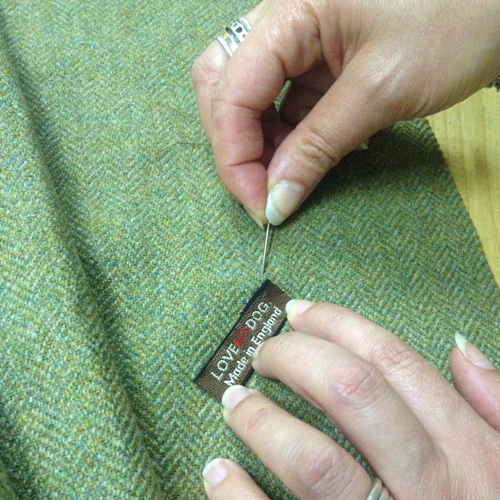 After a call to our London studio to get Buster’s measurements the studio set to work. 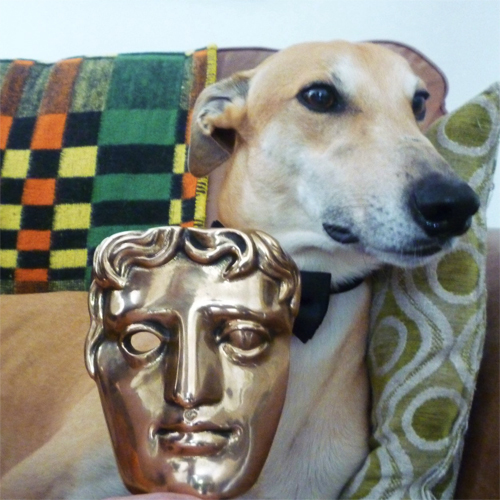 LoveMyDog’s Creative Director Lilly Shahravesh says, “As a young child I was completely transfixed the first time I saw a Greyhound. I couldn’t believe how majestic they looked. 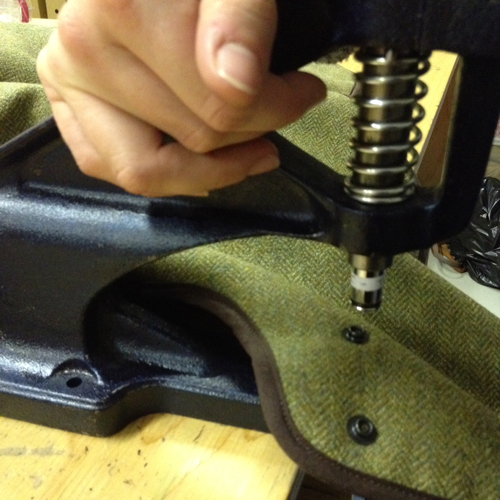 Designed exclusively for whippets and greyhounds, our pure wool Scottish tweed dog coat inspired by Edwardian country house parties is very warm, showerproof and stainproof. Our Featherstone design features a warm Sherpa fleece lining, adjustable stud fastenings with matching lead, beds and blankets available. We think Buster looks beautiful in his new tweed coat and we certainly hope it keeps him nice and warm this winter. 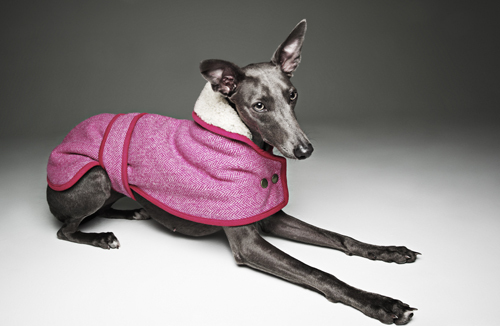 Shop the LoveMyDog Greyhound Canine Couture Collection. Check out Rankin’s photos of his wife Tuuli Shipster’s whippet Beans.